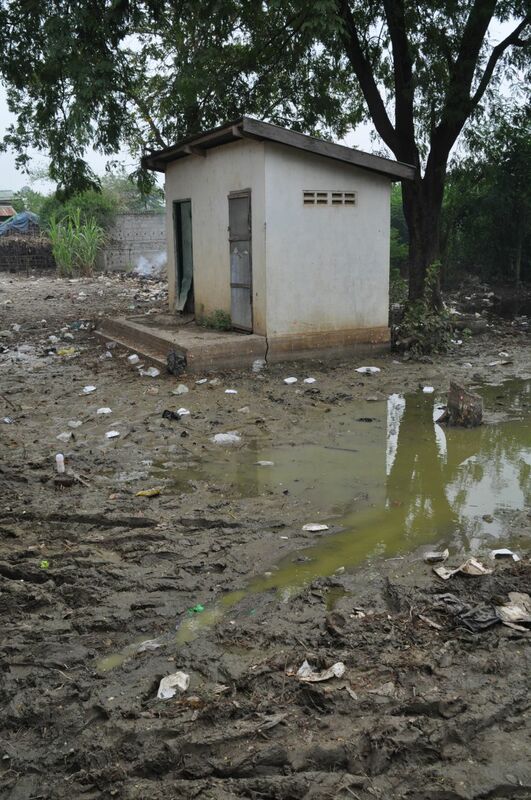 Currently I am ascertaining flood damage on schools in Poipet, Cambodia. Upon visiting one school I noticed a rare feature: a playground. 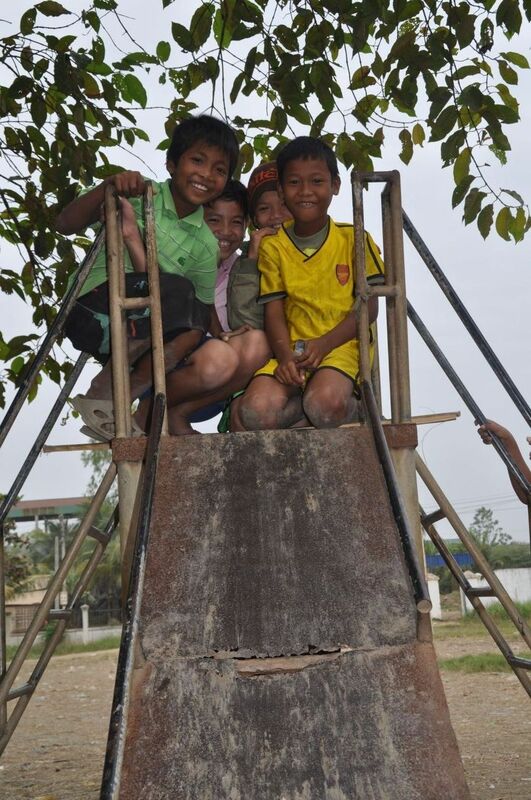 In fact, after visiting every school in Poipet (a city of 120,000 people) I found there is only ONE playground in the entire city. As I looked at the school property and the playground, my mind wandered. If this school has the ONLY playground in the city, surly it would be popular? It would be like Disneyland to the kids of the city. "The Splitter"; You slip you bleed! A slide which may cut excess meat off your backside! "Shaver"; If you don't jump, you may leave your backside behind! "Shin Wacker"; Jump and run is the only way to avoid bleeding shins! Boys right, Girls left. Don't forget to flush! This playground is the only playground in Poipet City. 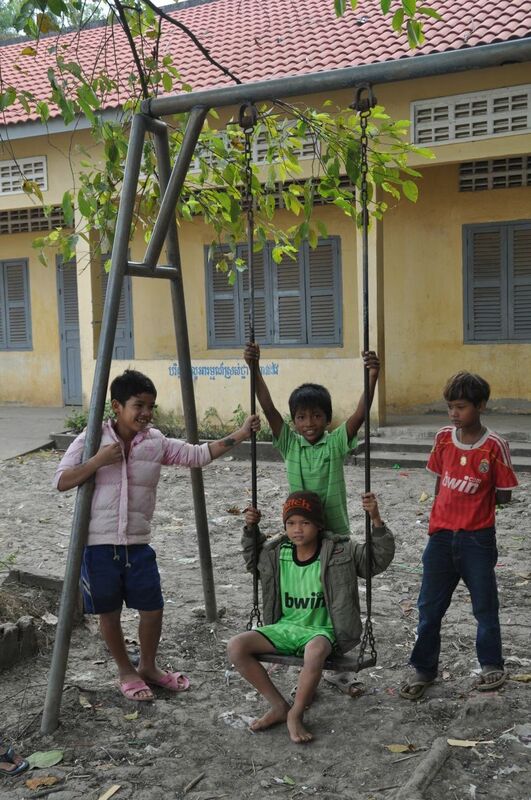 It is also the only playground for 1,700 elementary students in the school. Hopefully in the coming month we are going to begin rehabilitation of the school grounds including building drainage pipes, raising the height of the land to avoid flooding, painting the classrooms, building sidewalks and maybe even fix up a better playground! I love the names you gave each “ride”. I hope your work will be a blessing to that school. I am going to try and fix up 3 schools with the help of great friends from the US. Every school in Poipet is flooded (and still) even through the rain is gone.